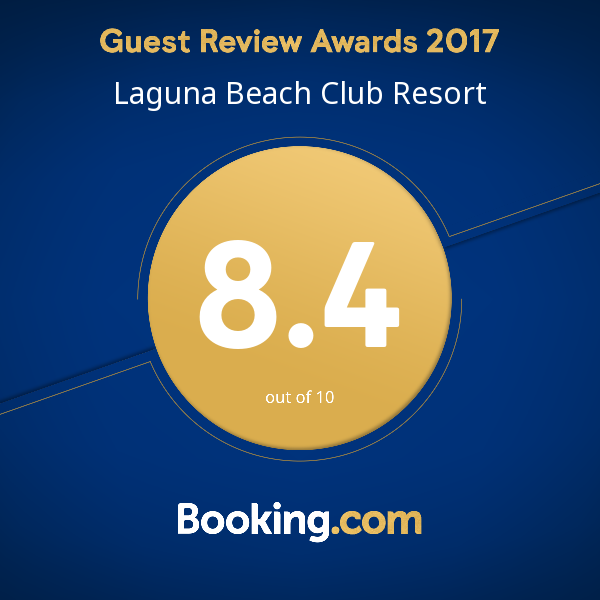 Now we are open all year! 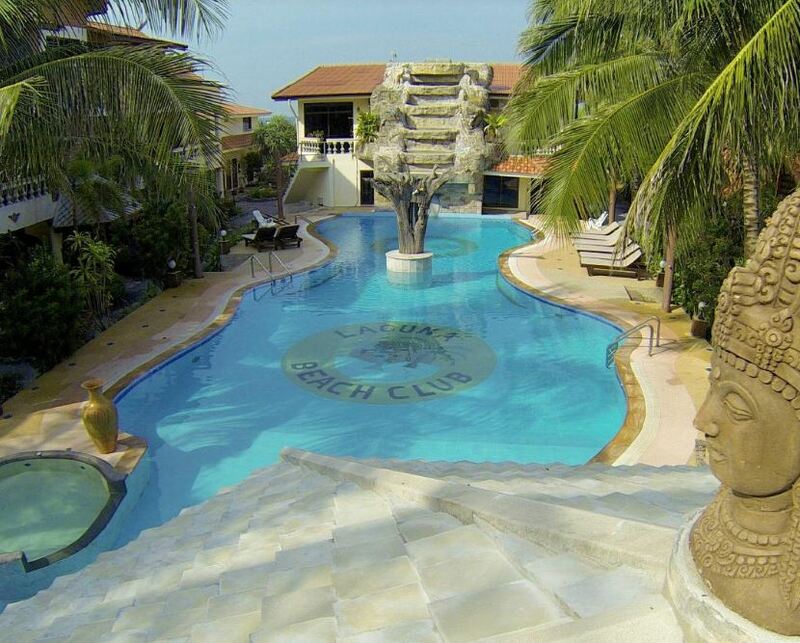 And a nice and ambitious Dutch & Thai service team is looking forward to see you here ! 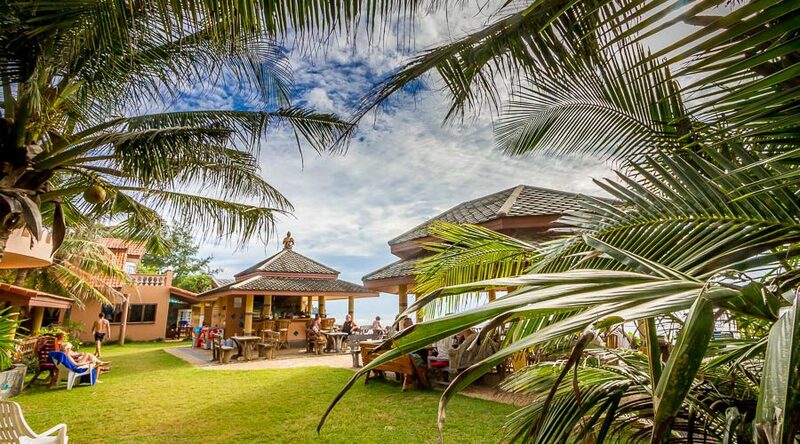 is located right at Klong Dao Beach in paradise Koh Lanta! 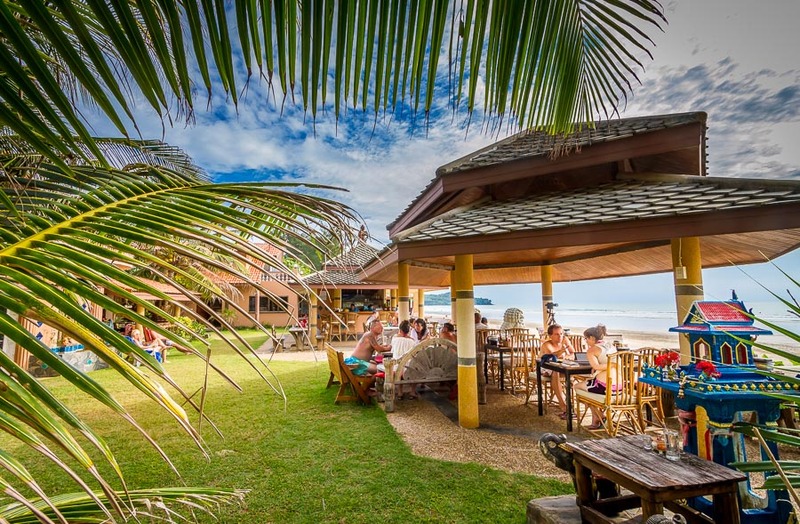 Secure your spot in the sun, make your reservation today! 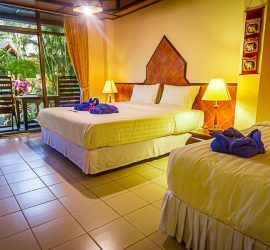 There is a paradise waiting for you, we have all types of accommodation for you and small or big families. 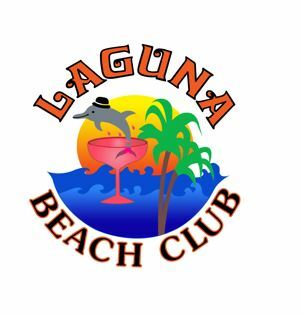 Welcome to Laguna Beach Club Resort! 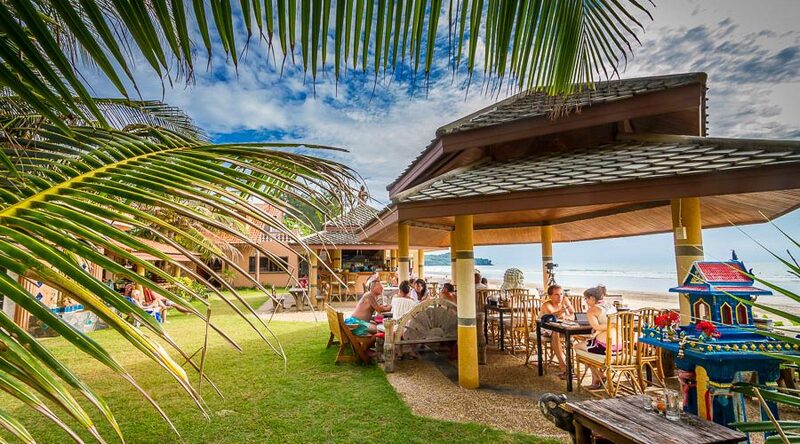 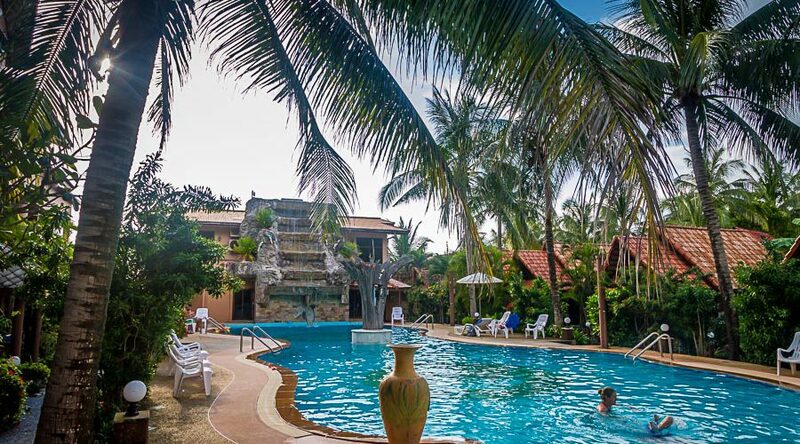 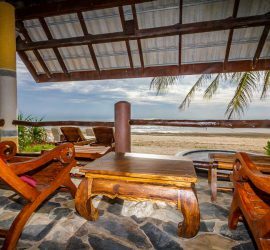 Laguna Beach Club Koh Lanta is located right at the most beautiful and popular white sandy "Klong Dao Beach" on Ko Lanta. 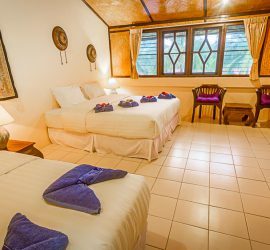 We offer accommodation of various styles for individual holiday travellers. 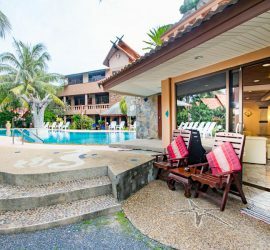 We have everything for the single traveller to bug families, standard bungalows and hotel rooms with lush gardens to luxurious penthouses with unique sea view, overlooking the andaman sea and Phi- Phi islands at the horizon. 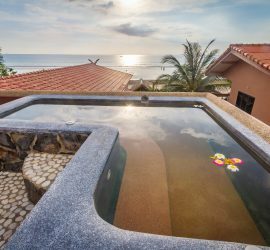 We even have a beachfront bungalow with its own jacuzzi for you to spoil yourself in this tropical paradise! 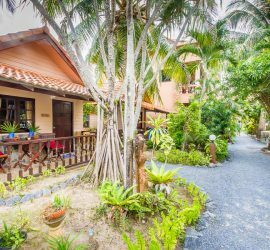 All together 36 units are ready for you. 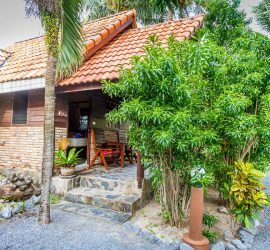 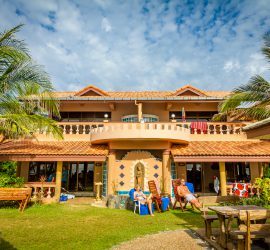 On this website we would like to give you some impressions of our fine resort on the splendid island of Koh Lanta / Ko Lanta, Thailand. 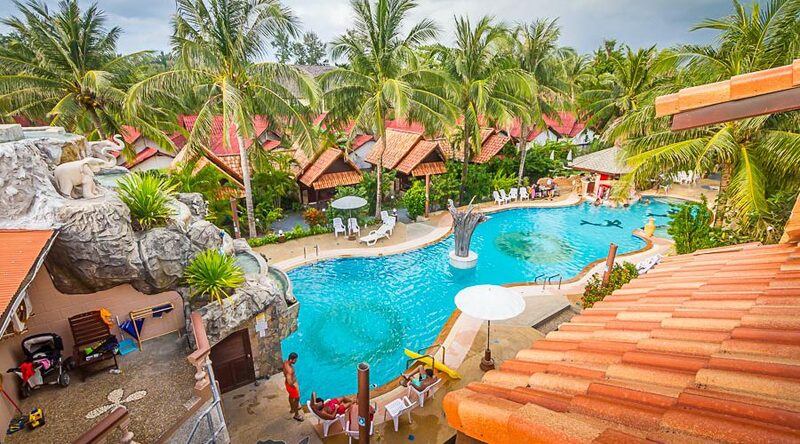 Established in 1997, Laguna Beach Club Ko Lanta is very well known for it's natural and stunning Thai-baroquestyle architectur embedded in a tropical 10.000 sqm garden with private beach front. 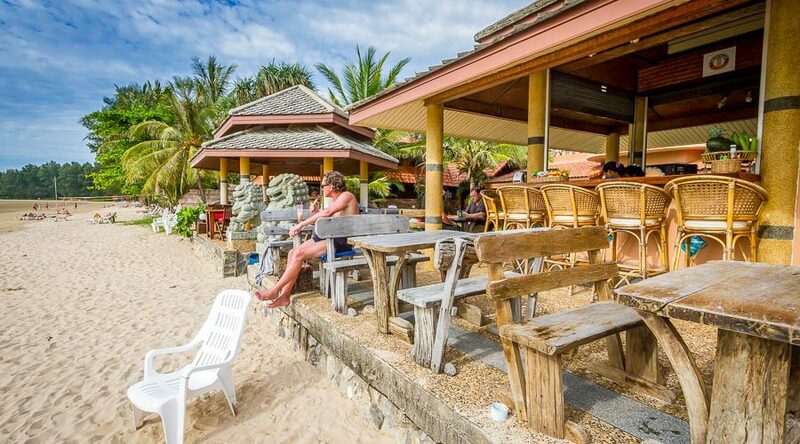 We have many facilities and services like scubadiving, a big swimmingpool, beachrestaurant, massage, tourdesk, beachchairs etc. 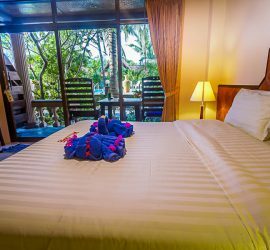 All this will give you all the amenities you need for a great holiday stay on Koh Lanta.